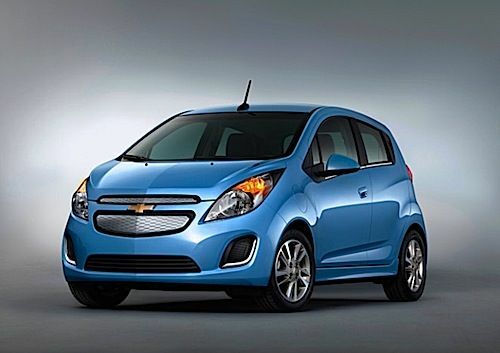 GM is betting a lot the its upcoming Chevy Spark EV will find its market niche with urbanites and city dwellers. The car comes with an intelligent array of smartphone infotainment systems. Much rides on the shoulders of the Chevy Spark EV. You can always tell when GM is betting big on something or launches a product that is important to the giant carmaker. The Spark EV seems to be very high on the priority list for both GM and its Chevrolet arm if the releases and the hype is anything to judge by. After all, the is GM’s first real all-electric car and it is destined so far for California, Oregon, Canada and South Korea. The Spark EV is not just a first iteration of what GM can do with the electricdrive. The electric car was developed originally for the Chinese market but after the seeing the low adoption numbers, GM intelligently decided to bring it here. And on paper, this is one great little electric vehicle, EV. As with any new EV versions, the ante is raised with each new EV that comes to the market. Unveiled at the Los Angeles International Auto Show, Chevy Spark EV packs good performance and smart connectivity technologies into a fairly affordable five-door urban mini car. And urbanites in California should find the Spark EV very enticing with its high-occupancy vehicle, HOV lanes go ahead. Technically Speaking. The Spark EV pushes 130 hp, 110 kW out of its electricdrive and no less than 400 lb.-ft. of torque. As far as range, we know the 20-kWh lithium ion should give it sufficient range but Chevrolet is still mum yet on revealing exactly how far one full battery charge will carry it. But as far as recharging, this little EV has much to offer. It is, so far the first electric vehicle to come on the market with the famous SAE Combo DC Fast Charging feature that should allow for an 80% battery recharge in just 20 minutes. With two bright seven-inch LCDs displays taking care of the infotainment and key information, you should be able to gauge your expected range based on your driving habits, as well as other conditions, such as road and weather. Electric Cars Are Connected. Connectivity is a big thing when it comes to electric cars and the Spark EV spares no lack of feature. By keeping its drivers connected with its exclusive MyLink radio that comes standard, a well thought out smartphone connected infotainment system features apps for BringGo full-function navigation, TuneIn global internet radio, Pandora and Stitcher, as well as Apple’s Siri compatibility for the iPhone 4S and 5. And The Price Is... While no exact list price has been given so far for the Spark EV, GM did say it would be priced under $25,000 after tax incentives, taking on the competition. With the $7500 tax credit electric car buyers have in the US, the Spark's MSRP should be over $32,000. We can only welcome more choice when it comes to cars and electric cars have offered just that, another choice. In many ways Chevy Spark EV will find its niche market and GM hope those living near or in cities and commuting less than 80 miles a day will find this electric Spark EV the right choice for them.